2) Water Storage Option, Practicing Water Preservation, and Water Filtration and Purification. 3) Emergency Warmth, Emergency Shelters, and Staying Warm. CONCORD, N.H. – An ice storm to compare with some of the Northeast's worst made a mess of the region Friday, leaving 1.25 million homes and businesses in seven states without power as it forced schools to close and toppled ice-laden trees and power lines onto slippery roads. Most of the outages were in New Hampshire, Massachusetts, Maine and New York, and it was expected to take several days to completely restore electricity. The storm wreaked havoc from Maine to Pennsylvania, leaving a sparkling, ice-covered landscape that was too destructive for many to find beautiful. At least one death was related to the storm: New Hampshire officials said a 49-year-old Danville man who lived in a camper died of carbon monoxide poisoning after turning on his generator when his power went out Thursday night. For New Hampshire, the power outages dwarfed those during the infamous Ice Storm of '98, when some residents spent more than a week in the dark. In Hampstead, N.H., Mark Cegelis, 36, said things were hectic at his neighborhood gas station, which was jammed with people trying to get gas for home generators. "It's kind of lawless out there right now," he said. "There's a lot of people very frustrated stacking up at the gas stations. It's pretty ugly." He bought 21 gallons for himself and tried to deliver some to friends in Derry but couldn't get there because downed trees blocked roads. So the two friends came to him instead, and were expected to hunker down with Cegelis' family, his parents and another friend until power was restored. "I'm sure they'd do the same thing for us," he said. "It's treacherous out there." Nearly two dozen shelters were set up across the southern part of the state, and authorities were working to get generators to several nursing homes. About 35 people, mostly elderly, had settled in at a shelter at Portsmouth High School by early afternoon. "All the motels have no electricity, and that's why I'm here," said Duke Straychan of Hampton, who can't do without power because he uses an oxygen tank at night. People at the shelter dined on American chop suey and shepherd's pie and watched "The Polar Express" in the cafeteria. Gov. John Lynch urged residents to "please go out of your way" to check on their neighbors, especially those who are elderly and live alone. Both Lynch and Massachusetts Gov. Deval Patrick declared states of emergency Friday morning and called up members of the National Guard. Five hundred Massachusetts Guard members were cleaning up debris and clearing access to downed power lines. Lynch put 150 on alert and deployed 20. The Red Cross, in conjunction with the Massachusetts Emergency Management Agency, has opened 23 temporary shelters across the state. In Holden, which had no power, some senior citizens on oxygen were taken to the hospital or a shelter opened at the town's senior center. Utilities reported more than 400,000 homes and businesses without power in New Hampshire, including 320,000 served by the state's largest utility, Public Service Company of New Hampshire. By contrast, the 1998 storm left 55,000 Public Service customers without power. "This is the absolute, most significant power restoration effort we've ever had. There has not been a storm before that has affected more customers," Public Service spokesman Martin Murray said. Public Service officials suggested repairs for at least some homes and businesses will go into next week. They lined up 300 crews from as far away as Maryland and Ohio to be in the state by Sunday and were looking for more. Crews from Canada and South Carolina were headed to Maine, where Gov. John Baldacci declared a limited emergency allowing utility crews to work longer hours. Utilities there reported more than 227,000 customers in the dark, mostly in southern and coastal areas. In eastern New York, particularly around Albany, the state capital, outages at National Grid and other utilities brought the statewide total to more than 255,000. "Trees were down on all the roads," said Miguel Figueroa, 28, as he waited for coffee at a Starbucks in Colonie, N.Y. "... I couldn't even get on the Thruway today." In Vermont, at least three shelters were being set up in southern Vermont for the more than 30,000 customers who were without power Friday afternoon. It could be days before some homes and businesses get their lights back on, officials said. Though blue skies appeared in some areas by Friday afternoon, temperatures were expected to fall below freezing again, with single digits forecast for Maine, Vermont and New Hampshire Saturday night. Associated Press writers Holly Ramer and Kathy McCormack in Concord, N.H.; Beth LaMontagne Hall in Portsmouth, N.H.; Russell Contreras and Mark Pratt in Boston; Clarke Canfield in Portland, Maine; John Curran and Lisa Rathke in Montpelier, Vt.; and Mike Hill and Jessica M. Pasko in Albany, N.Y., contributed to this report. 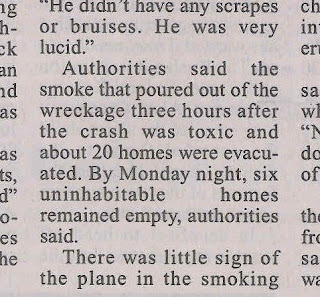 While recently reading the paper I came across this article about a military jet crashing into a residential neighborhood. The neighboring residents had to evacuate from their homes because the smoke was toxic. Since these things never happen conveniently, someone may have been hungry, need to make phone calls, have something to entertain a little one, have a change of clothes or diapers, or even have some medical needs to address even during this evacuation. Wouldn't it be nice to have this all planned out before an emergency happens? These folks were lucky that they were able to return to their homes. If that didn't happen, then having important paperwork, sleeping bags, and first-aid kits would have been essential. It may be difficult to wrap our mind around reasons for a 72-hour packet until the moment it becomes too late. The idea is to prepare beforehand and hope they never need to be used. Those who are prepared need not fear. President Ezra Taft Benson, Of the Quorum of the Twelve Apostles, in his October 1980 General Conference address to the world-wide church declared: . . .
With the economic crisis lingering more members of the LDS Church are stocking up on food.... To do these things in haste, fear panic is just not the right way to approach it. Read more here. The crust of the earth is constantly moving. This movement is slow and, except in the case of an earthquake, it is unnoticeable. Movement of the crust creates stress. This stress can cause rocks and the geology of the area to change its shape and size. This change to the body of rock can also be called strain, the adjustment of the rock in response to stress. An earthquake is a shaking or rolling of the ground caused by a sudden release of energy stored in the earth's crust. This happens when stress builds up until suddenly a rupture occurs and energy waves (seismic waves) are sent out through the earth. Volcanic activity can also cause earthquakes. The epicenter of an earthquake is the point of the greatest movement. The size of an earthquake is directly related to the amount of energy released. Two factors are used to determine the true size of a quake: energy released and the damage caused. The Richter scale measures the total amount of energy released by an earthquake. The scale uses numbers from 1 up to describe magnitude. Each number represents an earthquake ten times stronger than the next lower number. For example, an earthquake with a magnitude of 5 is ten times stronger than an earthquake with a magnitude of 4. During the 20 years from 1975 to 1995 there were only four states in the United States that did not have any earthquakes: Florida , Iowa , North Dakota , and Wisconsin . The 1906 San Francisco earthquake registered 7.9 on the revised Richter scale. In 1954 a 7.3 magnitude hit Dixie Valley Nevada . The year 1959 saw a 7.3 at Hebgen Lake , Montana . Prince William Sound in Alaska had the biggest quake recorded in the United States : 9.2 in 1964. The 1983 Idaho Borah Peak earthquake had a magnitude of 7.3. And the 1994 Northridge quake was a 6.6. Most people know earthquakes occur in California and Alaska , however, earthquakes are not unique to these regions. From December 1811 to February 1812, a series of the greatest earthquakes in history with an intensity at the top of the earthquake scale struck—not in California—but in a one million square mile area of the Midwest and southeastern portion of the United States: Missouri, Kentucky, Tennessee, Ohio, Georgia, and South Carolina. These quakes occurred along the New Madrid fault. Because of the limited population in the area at the time, the quakes resulted in only one death. If a quake of this size were to occur in these areas today the loss of life could be 50,000 or more. On August 10, 1884 an earthquake measuring 5.2 on the Richter scale had its epicenter in New York south of Rockaway Beach . It caused chimneys to crumble and rang church bells in Connecticut and Pennsylvania . According to experts, a similar quake would cause major damage because of a much larger population today and the enormous buildings, bridges, and tunnels which were constructed without thought of earthquakes. New York , New Jersey , and Connecticut all sit on ancient geological faults. The Wasatch Range runs north to south through Utah and like all mountain ranges it was produced by a series of earthquakes. The 240 mile long Wasatch Fault is made up of several segments, each capable of producing up to a 7.5 magnitude earthquake. See Meridian article Keeping Our Kids Safe While Away at College for more information on the Wasatch Range. January 17, 1994 residents of Northridge , California were jolted out of bed at 4:31a.m. Apartment buildings pancaked, freeway overpasses fell, and fifty-seven people died—all in eight seconds. Seismologists consider Northridge to be only a strong quake, two steps below the magnitude 8 “big one.” Scientists believe the "big one" will cause an earthquake rupture which will extend ten to fifteen miles deep and 200 to 250 miles long, maybe more. It will be the size of twenty Northridge earthquakes laid end to end. In October 2007 a 5.6 earthquake rocked the San Francisco Bay Area. This quake occurred on the Calaveras fault which runs adjacent to the Hayward Fault. The Hayward Fault moves about every 140 years producing catastrophic quakes. Experts fear the recent Calaveras quake could actually trigger the “big one” on the Hayward Fault. The Hayward fault last moved 140 years ago. On January 26, 1700 a great earthquake shook the Pacific Northwest . This quake, with an estimated magnitude of 9.0, produced shaking which continued for several minutes and dropped the coastline of Washington State by nearly five feet. Yes, several areas of the country are due for a “big one”, but the United States is not alone. Each day there are approximately 2,600 earthquakes somewhere in the world, or two per second. On October 14, 1968 a magnitude 6.9 earthquake hit east of Perth , Australia . The greatest recorded earthquake occurred in Chile on May 22, 1960. It was recorded as a 9.5 on the Richter scale and caused tsunamis in Chile , Japan , Hawaii , Philippines , New Zealand , Australia , and Alaska . When a sizable earthquake occurs, there are many potential disasters that may follow during the next few days or weeks. With broken natural gas lines, fires are inevitable; dam failures, hazardous materials spills, power outages, natural gas leaks, landslides, loss of clean water supplies, road and bridge collapses, and even tsunamis may occur. Infrastructure may be destroyed: police and fire stations may be damaged or destroyed; hospitals may suffer severe damage just when they are needed most; jobs will be lost; banking and grocery store deliveries interrupted; gasoline may become scarce; telephone and internet services may be inoperable and garbage may pile up. With mail delivery spotty or nonexistent, bills will still need to be paid but might not be delivered. While people are dealing with all of these hardships, first responders will have to choose between meeting the needs of their families and reporting for work. Who are first responders? We automatically think about fire fighters, police officers, and health care professionals but here are also many others. Utility workers will be needed immediately to restore power and water. Those who run your waste disposal plants will need to get those facilities up and running again. Yes, earthquakes can happen where you live. Can earthquakes be predicted? The answer is no. Scientists have never predicted a major earthquake. Scientists can, however, estimate the probability of an earthquake occurring by examining the records of past quakes. Is there earthquake weather? Again, the answer is no. There is no connection between weather and the likelihood of an earthquake occurring. Earthquakes are not capable of altering the weather either. Will California eventually fall into the ocean? Oh, I love that one! No. Earthquakes on the San Andreas Fault are a result of slip plate motion. The plates are moving horizontally past one another, so California is not going to fall into the ocean. Over thousands or millions of years Los Angeles could end up a neighbor of San Francisco , but the entire state will not fall into the ocean. Which country has the most devastating earthquakes? Which has had the most damage and fatalities? China , Iran , and Turkey are in active areas which have a long history of catastrophic earthquakes. Which country has the most earthquakes? Japan has more total earthquakes than anywhere else. Indonesia is a close second with Tonga and Fiji being very active zones. Which country has the fewest earthquakes? Antarctica is the safest place to live if you are worried about earthquakes. Why all this earthquake information without instructions of some kind? Well, I felt it was important for everyone to recognize the dangers they face from earthquakes even though they may live in an area we don't normally associate with them. Now, re-read the Meridian article Prepare Your Home for the Unexpected and, if you have not already done so, begin making the preparations that are suggested. I'm not finished with this post. I'm just getting started. For now, here is a good place to buy Wheat gluten in a #10 can. I found this here. It may not be food STORAGE related, but it is food related and funny. Enjoy. There has been a sad passing. The Pillsbury Doughboy died yesterday of a yeast infection and trauma complications from repeated pokes in the belly. He was 71. Doughboy is survived by his wife Play Dough, two children, John Dough and Jane Dough, plus they had one in the oven. He is also survived by his elderly father, Pop Tart.The funeral was held at 350 for about 20 minutes. ~From store, to store, to store. With fruits and so much more. ~But canning jars don't grow on trees. And it has been such fun. If returned when you are done. Many times I've seen articles and chapters in books related to mistakes people make in their food storage efforts, like 7 Mistakes of Food Storage. Over the years I have encountered my own mistakes and those that I have commonly seen that are not part of these lists. The first thing I can think of in my own experience is mis-interpreting the counsel to store what you eat and eat what you store. The problem with this is that I didn't eat wheat and that is a main staple of any food storage. I avoided buying wheat because I had no clue what I would do with it. Wheat is a food that I can store on my shelf and when properly sealed in a #10 can and accompanied by an oxy absorber will last for 30+ years and I didn't have any. Over the last few years I have worked diligently to remedy that gap and have been learning to use it. The reason this mistake is so important to recognize is because the leaders of The Church of Jesus Christ of Latter-Day Saints have recommended certain foods and they are available through the warehouse for long-term food storage because they are life-sustaining and can store for long periods of time. (see a full list here) If all I store are exactly the foods that I eat without considering these recommended foods, then I put my family and I at risk. It was up to me to learn how to incorporate these items into my storage and everyday eating. I have learned that the counsel to store what I eat and eat what I store means to store what is recommended, add to it for variety and for personal preferences, then to eat from what is being stored and rotate it as it is being used. It doesn't mean to buy 365 pizza's because that's what we eat! A huge stumbling block for many years was my desire to comply with "fad" diets. I am reluctant to use that word to describe my own history, but the matter of the fact is that because I was trying to devise the plan to conform to unrealistic expecations, rather than conforming to a wiser, more time-proven plan I was making it difficult to properly build my food storage. I had to determine whether I was going to follow the prophet or a fad. This can apply to any food plan that makes it difficult to properly build and maintain a food storage. It does not apply, however, to those who have to adjust their food storage needs because of health or allergy reasons. When I ask single folks about their food storage, I often hear, "Oh, I don't eat much." That's not the point of food storage. Eating less than a family of two, three, four or eight does not mean you do not need a food storage. It simply means that your food storage will be smaller! Still store food. Otherwise, you may find yourself not eating anything. Remember that food storage is also a means of obedience. If I didn't pay tithing because I didn't make much, I would still be deemed a non-tithe payer. Rather, if I make little, I pay little. The same holds true to our food storage. The less we eat, the less we store, and the blessings of obedience from heeding this counsel will only prove to be larger than our need for the food. Not being open minded will put a quick stop to building a thorough food storage. I have stored foods in buckets, #10 cans, canning jars, and store-bought canned goods. What if, though, I didn't keep my mind open to new ways of preserving foods? I would be limited in my menu by my willingness to preserve foods through a variety of methods and techniques. We all have patterns and methods that we like to follow, but let's not allow them to interfere with our growth and new opportunities. Realize that once we gain an understanding and experience with one method that it is only natural to build upon it... both our knowledge and the process. Line upon line, precept upon precept. Instead of "this is the way we do it", let's have "what's next! ", be our motto. I used to be a very picky eater... really, I still am. I've come a long, long way, though. I used to not eat bell peppers or onions at all. I would only eat veggies if they were fresh, not cooked. I wouldn't even consider a soup with squash in it. Now, I LOVE all of this stuff. I still have some limitations and there are still foods that I don't like. These foods I just mentioned are main staples in many, many recipes. Now I can have soups, salsas, and sauces that before I would never have touched. Now I crave them. The reason for this is because I prayed for this. And, it worked! I didn't want to be a hindrance to my family and I wanted to enjoy foods that were good for me. Inconsistency in preperation will prove to stall food storage plans. I used to take most of our income tax refund every year and use it on emergency preperation. That is terrific. Oftentimes I would never touch it the rest year and that's not so terrific. Just think of all that wasted time! I could have been taking $25-$50 a month and putting it toward emergency preperation. By now, 13 years later, I would be so much further ahead. Be consistent, work it into the budget, make a list of needs and simply dwindle it down month by month. Use the big, unexpected money like income tax refunds, bonuses and such to help out in big ways and to put a lot of checkmarks onto that list. No trying or being afraid to fail stalls progress in food storage. I want to learn to make bread. Everytime I try I am unsatisfied with the results. I used to make it homemade just fine and then I stopped, but I used white flour and other ingredients not food storage friendly. I seem to be stalled. The fact is that without making mistakes and continuing to try until it has been mastered I will still be left ignorant of how to make bread during an emergency. I must be willing to make mistakes in order to make progress and be prepared and confident in my skills. Whether it is bread or anything else with regard to food storage, do not let the unknown scare you away. Decide to make a million mistakes now while the shelves have ample supplies rather than waiting for a real challenge to come your way to force you to learn on top of all of the other added stress. It is likely that you won't learn then, either... you'll just learn to do without. In some things that may be okay. For the real important things, like my bread, it is not okay. If I mess up three dozen loaves of bread to master my breadmaking skills I now know I can duplicate that success and feed my family a delicious loaf anytime. I may learn through the process that a certain ingredient was needed, which may not have been available during an emergency. Focus on the process and not the product. In time, the product will produce with consistent adjustment and practice. Finally, the saddest mistake of food storage is not believing it's necessary. Occasionally, I will hear a negative response to the idea of food storage. Perhaps they consider it as hording food or that it is doomsday behavior. Either way, they take no heed to the idea of preparation, self-sufficiency, or the possibility for the unexpected. We are not counseled to horde food, but to build it, use it, and rotate it. Most of us aim for a monetary savings account and no one chides us for storing money in the bank. Peggy Layton, author of Food Storage 101 and Cookin with Home Storage, suggests that "food in the basement is better than money in the bank." Investing in five hundred cans of tuna fish in your basement is a better bet than putting $350 in the bank. Our food storage is a savings for hard times, whether they are an unexpected job loss, tight budgets due to medical bills or vehicle maintenance, the result of a poor economy or damaging weather effecting our local grocery stores. The idea is to be prepared for uncertainties.... to act rather than to be acted upon. I just finished putting together a "recipe book" for my family with all our favorite meals that we eat throughout the month and then a couple more than we eat occasionally. You can Find it here! I hope that this is helpful for those who are looking for recipes. Many of them can easily be converted to food storage quality recipes. Eventually, I plan to go through and do the converting and figuring. For now, the first step was to put this together. When first glancing through the pages you will notice that they are only half the size of a regular sheet of paper. I have a small binder that holds this size (see above photo) and it saves paper. In order to print I choose four pages at a time and then choose 2 pages per sheet. I have the recipes within the document placed for printing in alphabetical order. In order to do this I had to toggle the recipes around so that they could print on a regular sheet of paper, two per sheet, and then turn the paper over for the next two to be printed on the back and have each recipe end up where it belonged. I'm sure there is an easier way to do this. It would've been easier had I just had one recipe on each regular sized sheet of paper... but, that would've been a lot of wasted paper. For now, that's how I made it happen. NOTE: I will be updating this document as time goes on, so if you would like to keep track of it I will always leave the updated version to the right in Helpful PDF's Under "Our Menu Plan"
If you have any suggestions, comments, or recommendations... feel free to leave a comment. This newsletter focuses on vegetable gardening indoors. It is a method that I have not yet used and am excited to learn and perfect. I think it is important to be able to grow my own veggies year round for many reasons. The cost is a lot cheaper than buying each individual item that I need from the store, I would be a lot more self-reliant for my own food needs, and hopefully it will be a lot tastier. You will find the newsletter in the list to the right of this blog under "Filling Your Ark Newsletters"
Please share your experience with this method by leaving a comment. I found this on this blog and to make sure that I don't ever lose it I thought I would post it to my blog, too. Take 1 cup of flour, add 1/2 tsp. of salt and 1/2 tbsp. of baking powder. Mix all ingredients. This can be used in any recipe that specifies self-rising flour. I often think of my food storage preparation by envisioning a ladder. As best I can I place the rungs in the most likely to occur order of events. This helps me to prepare for every needful possibility. I start at the bottom and think of the things that I would like to have on hand if there was only a temporary, regular shift in our life like that of a job loss. An emergency that took our funds and forced us to shift focus, like medical bills or car repairs would be another example of the bottom rung. These kinds of emergencies would mean that I could still use all my freezers, refrigerators, stoves, appliances, electricity, have running water, etc. I just would like to have as much on hand as possible so that we could live on the comforts to which we have grown accustomed. The second rung on the ladder is to prepare for a power outage. Still a normal inconvenience that happens in regular life. Whatever the case may be that caused the power lines to be down temporarily, I would like to know that I have the necessities to still feed my family without a stove, keep the house warm, running water (in the case of an electric well-pump), and have a way to keep my frozen food frozen. The third rung on the ladder is a natural disaster like earthquakes and tornadoes. Many times we are forced to evacuate during natural disasters and so my ladder should also include Faith to prepare me for events that would cause my preparation to be outside of my own house. I would find that circumstances requiring that I leave home will be the ideal time to be thankful for our 72-hour kits. When the disaster allows me to stay home I still must be prepared for inconveniences that are caused by them. Perhaps the grocery stores are down, electricity and water are interrupted. Maybe the rumbling of the quake or the proximity of the tornado caused all my foods that were canned in glass jars to break. Whatever the case may be, I would like to be prepared. Do I have alternate energy sources, water storage, ways to heat my home, and a source of food other than total reliability on home-canned foods? The fourth rung on the ladder is a water outage. Perhaps this is more than a minor inconvenience, like a drought. Am I prepared to take sponge baths, cook and serve with dishes and utensils that do not need washing, and be excessively frugal with stored water? Concerning all of my dehydrated foods, did I use them first while I still had water available so that when it came to this rung I had foods in my pantry that didn't require so much water? Perhaps I have canned beans instead of relying on those that need to be soaked. This is not the time to put pressure on my food storage plans by requiring an unreasonably large reserve of water. I would like to maintain my water for hydration and sanitation. The fifth rung may have even been combined with one of the previous rungs, or may only now be an issue. Most likely the grocery stores are no longer available. I know that during major natural disasters, even for those folks who were not directly effected, find that the grocery stores are not available for miles. Am I prepared to be self-sufficient when I have no back-up by quickly running to the store to grab something I overlooked in my preparations? The sixth rung means that I have none of the previous rungs and now even the garden is off limits. For some reason the ground isn't producing food for us and we have no fresh produce to enjoy or to replenish our stock. This is when wheat grass juice and sprouts will be a life-saver, so long as I can water them. Most of all, I will be gratefull for the life-sustaining foods that the Church has counceled me to store and have a 30+ year shelf life. Now, I must utilitize the remaining storage to its fullest potential. Do I know how? Finally, we reach the seventh rung. This is where my total reliability is on the Lord. My obedience and preparation beforehand will now allow me to have the faith that I have done all I could and now it is up to my Heavenly Father to provide for me and my family. If he chooses to do so through leading us to a source of food that I may have been unaware was available, or to provide us with manna or quail, then this is the time for miracles. Once I have done all I can, it is no longer in my hands. It will be the time that I must rely wholly on the faith that I have followed the counsel to prepare in every needful way and to have gotten my house in order, which includes the faith that we will be taken care of in the time of great need. That is my Food Storage Ladder. I hope that as you obtain your food storage that you keep in mind the various rungs so that you are not caught unaware and can be prepared in everything you need physically, mentally and spiritually. 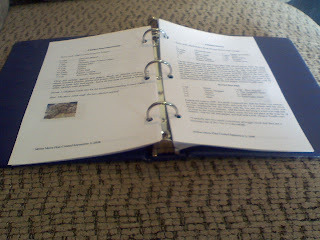 This is where I will compile the recipes in my menu that I have previously posted. Put tamalis in a pan smaller than 9x13. Cut off wrappers from Tamalis. Pour all cans over top. Sprinkle with cheese. Bake 35-45 mins at 350 Degrees, or layer in the crockpot and cook for about 2-3 hours on low. After cooking, top with onions. Boil water, begin cooking linguine. Chop carrots and broccoli (I used a bag of frozen broccoli and cauliflower). Place in bowl with drained pineapple. Chop up chicken breasts into bite-size pieces). Heat large skillet or wok with oil in it. Add chicken. Stir fry for 3-4 mintues. Remove from wok, put into clean bowl. Add bowl of vegetable ingredients to wok. Stir fry for 2-3 minutes. Re-add cooked chicken, also teriyaki sauce and stir fry 1 minute. Drain linguine, toss pasta and chicken. Mix together and serve hot. Saute' beef before adding to crock pot and cook over night. Heat olive oil in heavy large pot over medium-high heat. Add beef and sauté until brown on all sides, about 5 minutes. Add garlic and sauté 1 minute. Add beef stock, apple juice, tomato paste, sugar, thyme, Worcestershire sauce and bay leaves. Stir to combine. Bring mixture to boil. Reduce heat to medium-low, then cover and simmer 1 hour, stirring occasionally. While the meat and stock is simmering, melt butter in another large pot over medium heat. Add potatoes, onion and carrots. Sauté vegetables until golden, about 20 minutes. My menu begins as follows: I make a whole chicken at beginning of week, use carcass for making homemade broth to use for a soup of the week (some of the soups will not be shown on the Dinner Plan because they are for lunches). The chicken itself is evenly divided by the number of meals with chicken that week and reserved for those recipes - home cooked chicken makes all the difference in the dishes taste. Otherwise, I prefer Knorr condensed chicken base from GFS market for the broth or soups. A jar of this concentrated base lasts a long time and give more chicken taste without adding high levels of salt. Be sure to check the label and buy the product that lists “chicken” in the list of ingredients FIRST and salt second. The pot-roast broth is reserved for making a dish of rice later and also as part of the broth for the veggie soup. I also have fruit with every dinner so that no matter if I move the dinners around to suit our schedule I know there's always fruit. If we had to use the menu for emergencies some adjustments would need to be made, one I would move the fruit to breakfast. Note: The reason there is Mac & Cheese with Tamale Pie is because my family doesn't care for the first and I for the latter. I don't care for okra, hence the green beans in combination - dh has a freezer full of Okra! Seal a Jar with a FoodSaver! I absolutely loved seeing this youtube video. This started my creative juices flowing so fast that I just had to get my own FoodSaver. That I did! I've dehydrated shredded and cubed zucchini, tomatoes, bananas, shredded cabbage, lemons, and apple peels so far. Then, I sealed them into either canning jars or reused jars from applesauce. I've been so excited. I will be putting some zucchini and the apple peels into the blender (separately, of course) and making zucchini powder and apple powder to add to foods throughout the year. I've also learned that I can cut cherry tomatoes in half and dry them, then rehydrate them through the winter and use as fresh! That is so exciting. To realize how many cherry tomatoes I've purchased after having watched a faithful cherry tomato plant abundantly producing tomatoes go bad because I couldn't use them fast enough. No more. From now on, I'll be drying ALL of them for use all year round. In my last post I had mentioned my painstaking efforts to create a 6 week non-repeat menu. I'd like to take a moment to share more about that and the transition into my more current menu. I've never been the cook in the family. My husband was blessed with terrific cooking skills and has served us masterpieces that I believe belong in a 5-star restaurant. He is, what I consider, an actual cook. I'm a recipe follower. He can go into the fridge, freezer and cabinet and put something terrific and tasty together in no time. Somehow, rules of the trade don't apply to him, either. He can take a steak straight from the freezer to the grill and it will taste great and be plenty juicy. I, on the other hand, have to follow a recipe in exactness. Only after I've tried it once will I begin making adjustments. No recipe - then, I can't cook. I still remember the day the daunting realization came that for the rest of my life I would need to figure out what to eat for at least one to three meals a day. It was such a heavy load to see before me the need for education, preparation, creativity, and the implementation of all those meals. That's an average of sixty-five thousand seven hundred meals (60 years x 365 days x 3 meals a day) that I would be responsible for providing for my family and me. I had no idea where to start. I didn't know how to cook anything but macaroni and cheese from a box and a grilled cheese sandwich. Circumstances in my life forced me to learn a tiny bit of food preparation, but certainly not enough. My daughter thought all meat was called chicken. Which I don't understand since most of the time we had Hamburger Helper. Once married life allowed for me to stay home with my daughter, I began my quest to learn how to cook. It was a slow, painful, burnt and oftentimes an unpleasant adventure. For many years I was be a wanna-be cook in the family and would plan out a few meals and make them. Then, I would run out of ideas and lose interest. It was back to my husband at that point. Poor guy! Then, last summer I was on one of those fad low-carb diets and was so hungry it finally motivated me to focus on menu planning a month's worth of meals that I've always dreamed of creating. So, instead of eating, I made a list of all our favorite foods and dishes. Even if it was something we only ever ate when we went out to eat or visited someone who made it for us... it was added to the list. I then tried to combine sides properly with main dishes. I messed that up a lot and appropriately adjusted throughout the year. I advise against having rice AND potatoes in the same meal, or beef stroganoff with mashed potatoes are some examples for my need to adjustments. Next, I created a blank calendar to begin placing my foods into the appropriate days. I labeled the top of each day with a certain group. For instance, all Mondays were chicken, Tuesdays were Mexican, Wednesdays were oriental, Thursdays were Italian and so on. I did this because one of the complaints I would get when I did cook was "can we have something other than chicken tomorrow?" This way I was sure to spread these types of foods throughout the month evenly. I spent the winter using this menu, improvising, modifying, and changing it all together. Then, my daughter started showing signs of being lactose intolerant and by June she had her gallbladder removed. Between the two she has to stay away from cheese, milk and excess fat. I really had to change the menu plan. Remember, it was full of favorites that we would find outside of the house at our favorite restaurants. Those didn't happen to always be healthy. They all either had cheese or some sort of initial frying of some sort. I was also hit with raising food prices. I had to change the plan. As I explained in a previous post, I was shopping and realized I needed to know more fully what an entire month consisted of. I had been shopping weekly up to that point. So, I sat back down and revised my menu with the following considerations. I needed to reduce the frying, take advantage of our new chicken farm with chicken meals throughout the week made from one whole chicken cooked at the beginning of the week (I wish I had thought of that before - I've been spending lots of money on boneless, skinless chicken breasts), cheese can either be omitted or reduced for my daughter's sake (I don't generally use milk 'cause we don't drink it and I don't like it), food storage alternatives could be arranged, I could store many of the items on my shelf, grow it indoors, or preserve it from my garden's harvest are to name a few ideas I was keeping in mind this time. I plan to post this menu soon. I think I'm close to finishing it. Wish me luck. The rising food prices have forced my hand to be more frugal. For the past many years I have been very careless, unconcerned, and wasteful with both my food choices, food preparation, and food use. I would go shopping every week and make it a goal to stay within $100. Each week it would be challenge to meet that minimum. I would mostly fill my cart from the produce section and that was an expensive route, especially considering how much would go bad from being forgotten about, and what was the most damaging were the impulse purchases. Many times I would forget about them and find them in a cabinet somewhere and wonder how to incorporate them into our meals. A few months ago during my weekly grocery trip a thought came to my mind of how helpful it would be to know exactly what it is that I need every month and to purchase it all at once. That way I would know how much should be allotted for my food budget, I wouldn't waste food, waste fuel, and I would be more organized. Then, a few weeks later at church, we were counseled the same thing. I immediately got started. Since during the year previous I had painstakingly created a 6 week menu for my family it was easy to make adjustments for our new eating plans and current habits. Now that we raise chickens for meat and eggs, I wanted to include a lot of chicken meals. I arranged my menu to allow me to cook a chicken at the beginning of the week and create 3-4 meals from that chicken and a soup using the broth I would make from the carcass. I was also considering food storage alternatives and ways to preserve as much of the ingredients from my garden's harvest as possible. When I was finished with this new plan on paper, I took my list to the store. I was nervous when I was checking out because this cart was heaping full of food. As I anxiously awaited the final cost for a month of food for my family, expecting to hear $350 or more, I was extremely relieved when I heard $178.00! What!!!!! Only $178.00. I used to struggle to maintain $100 per WEEK! That's how wasteful I had been. I know this amount will go up a bit this next month because I had not included breakfasts and I had a few lunches not yet figured out. I don't anticipate that costing much more. So, I'll be happy to maintain our food budget between $225 to $250.00 for a month. I'll update my progress when my menu is more complete, which hopefully will be soon!